Fully original Rolex Oyster from the early 1950’s. 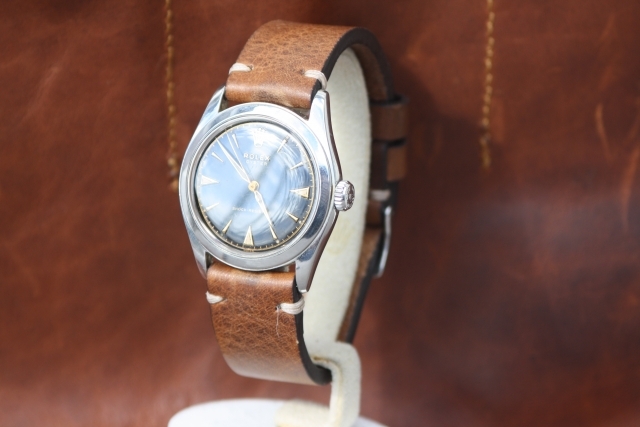 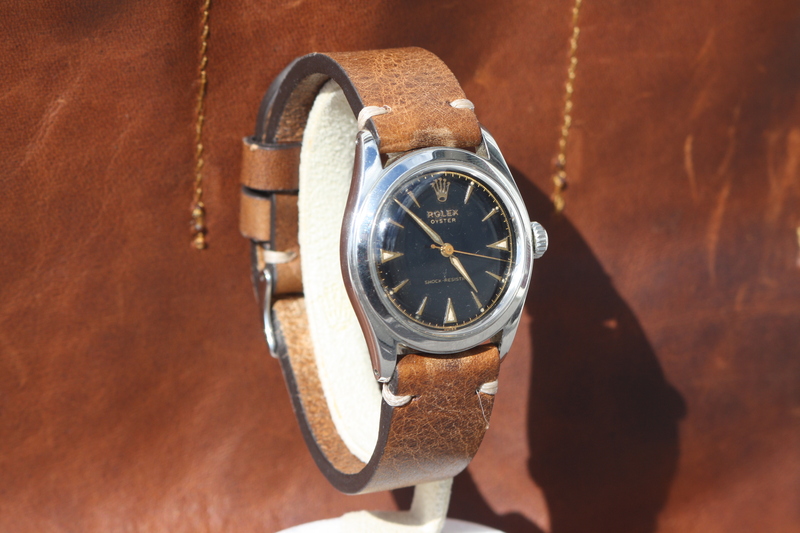 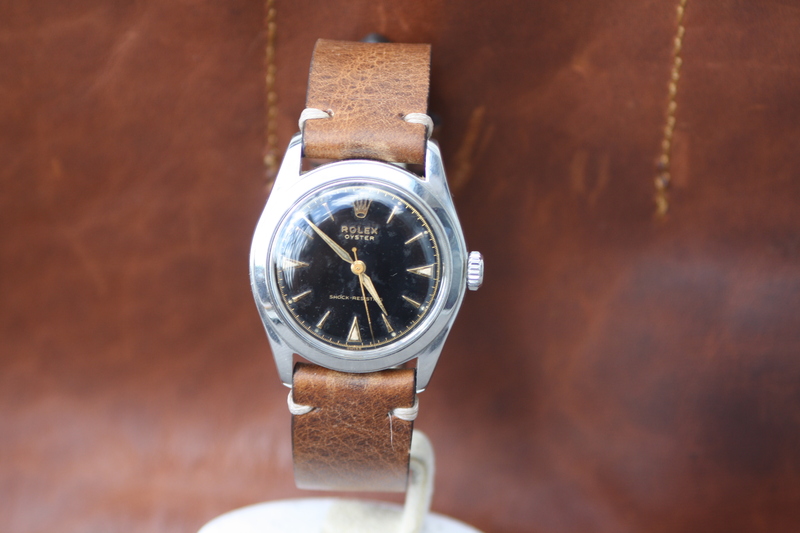 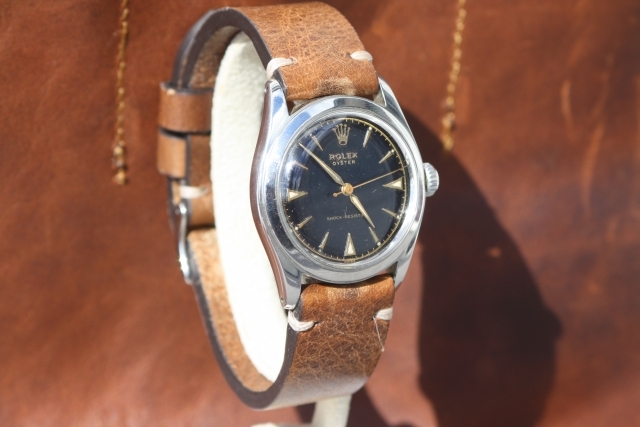 This Rolex ref 6082 features a beautiful gilt dial in full original and unrestored condition. Note the applied ‘Rolex’ writing which is not seen much at vintage Rolex watches. 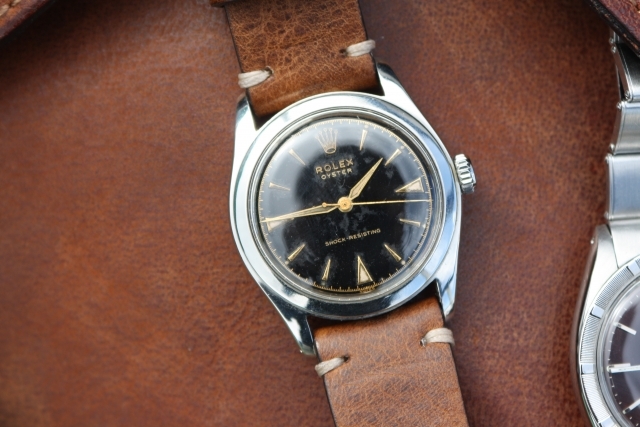 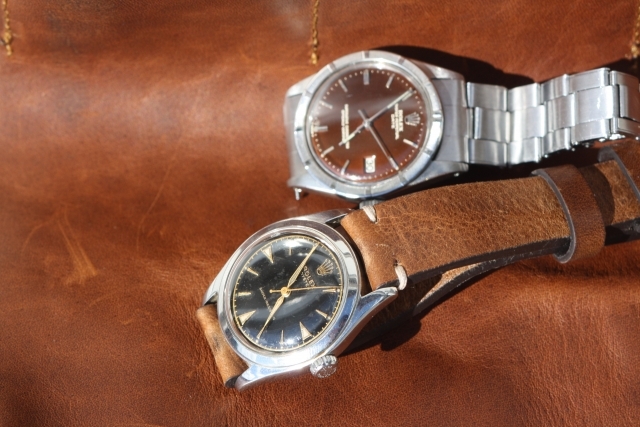 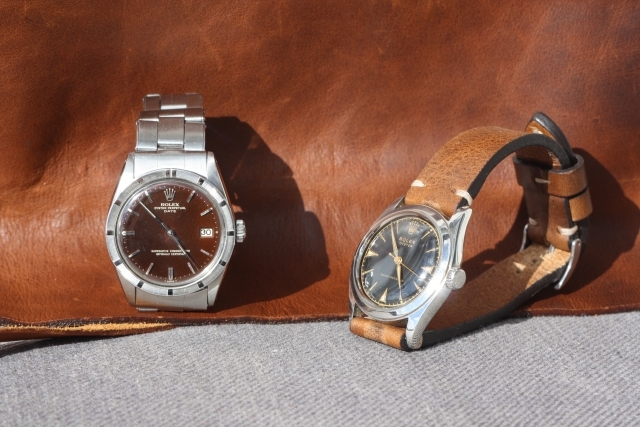 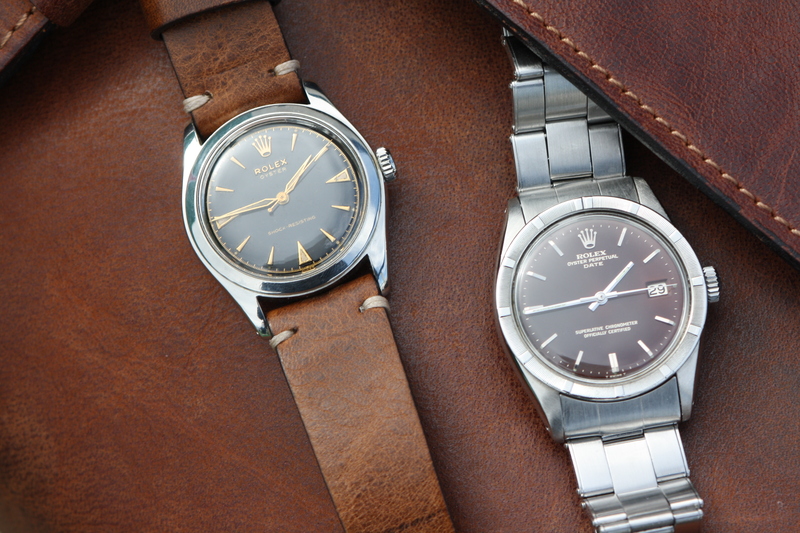 The watch dates back to 1953 when Rolex was using the patented ‘Super Oyster’ crown. 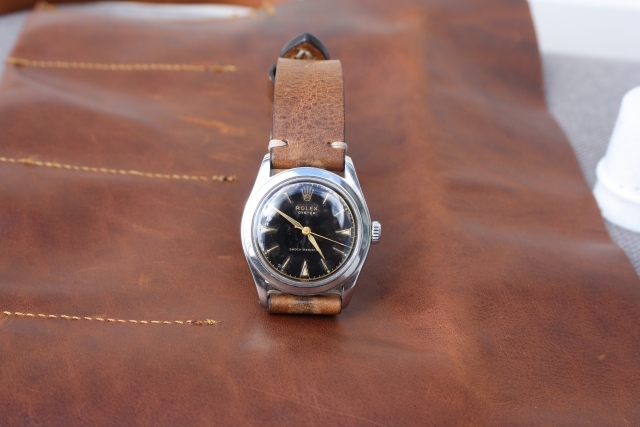 This is a non screw waterproof crown invented by Rolex in the 1950’s. There are not much ref 6082 watches around these days, this ‘pre-explorer’ example has one of the most sought after dials in black. 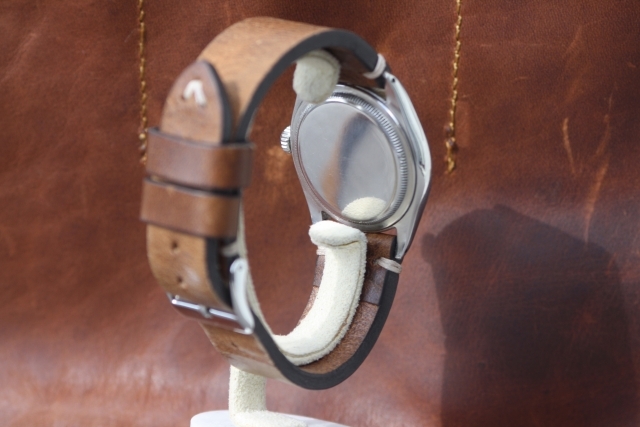 The gilt writing with applied logo is amazingly beautiful especially with the beautiful shaped hands on the watch. 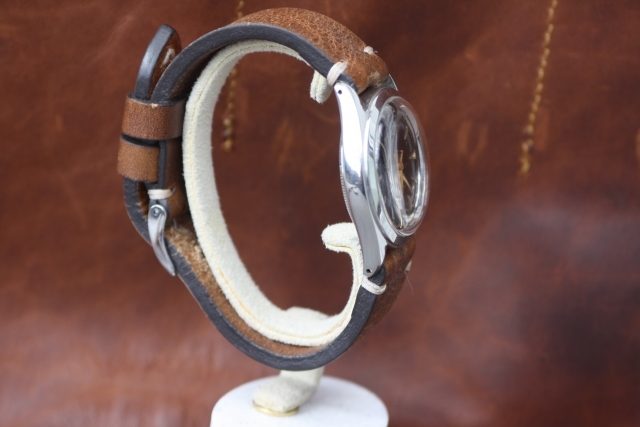 For more information about our collection please contact us directly by phone or mail.